I'm big on dental health. I've always been terrified of the dentist so any excuse not to have work done seems like a good idea to me! I also had braces for 5 years and good dental health is a total must when your a metal mouth. So when Corsodyl got in touch and asked if I'd like to try some products I was totally up for it! 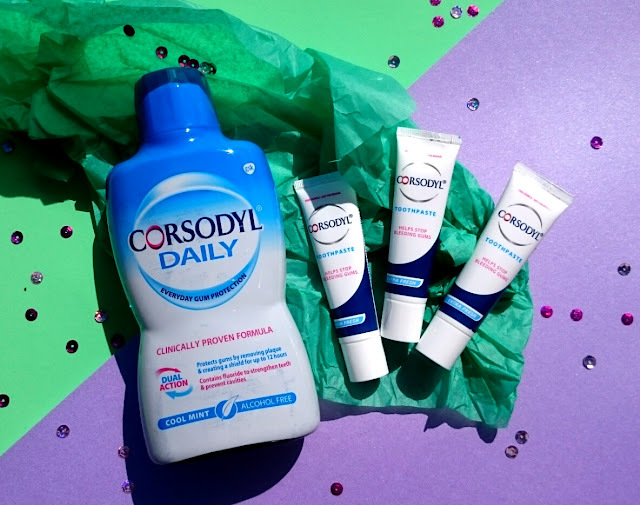 Corsodyl is a perfect companion for good oral health and helps fight gum disease and tooth loss. Gum disease is a very common condition but many people are unaware that they have it, catching it early can mean the difference between loosing teeth or keeping them. 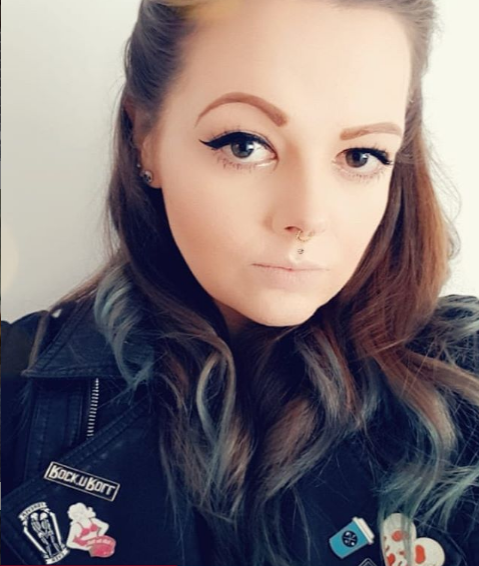 Over the last week I've been using Corsodyl toothpaste and mouthwash in Cool Mint and I'm happy to report back my mouth feels healthy, clean and minty fresh. The flavour is a lovely mint, it's not super strong so it's a good choice if you don't like strong flavours. Corsodyl toothpaste has a unique formulation that helps not only annoy the plaque but remove it too and contains no sodium bicarbonate. The mouthwash is also a lovely mint flavour that doesn't burn or sting when you use it unlike other mouthwashes I've tried as it doesn't contain alcohol. It also contains fluoride to help strengthen teeth and prevent cavities. Are you big into dental health? I love Corsodyl Mouthwash, I have used it for many years! I didn't realise they did a toothpaste as well! I must buy some on my next shopping day. I got recommended to use the Corsodyl toothpaste when my gums were bad and it really helped! I love the mouthwash too! I didnt realise that corsodyl made toothpaste. Will definetly be checking them out!